Rain or shine, we'll be there on time. Whether we are transporting medical supplies, or providing relocation services for families and businesses, All American is committed to excellence every step of the way. All American Logistics prides itself on customer service and satisfaction. We take the necessary steps to ensure your items safety. We bring all the necessary supplies, and ensure the process is smooth, and stress free. 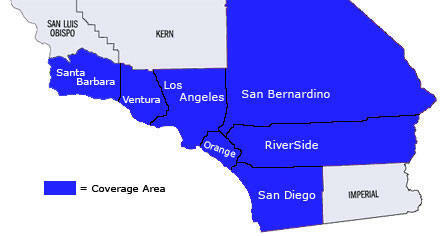 We service numerous areas in or surrounding Southern California including all of Los Angeles County, Ventura County, Riverside County, San Bernardino, Phoenix, and San Diego. Our local agents are standing by to assess your needs and answer any questions you may have. Copyright: 2016 All American Logistics.